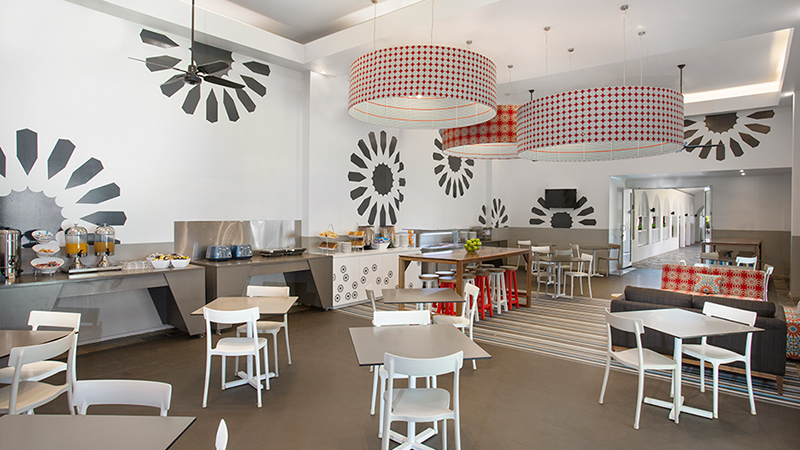 Mantra PortSea Port Douglas offers comfort and convenience with a selection of hotel rooms, one & two bedroom studios and two bedroom apartments. 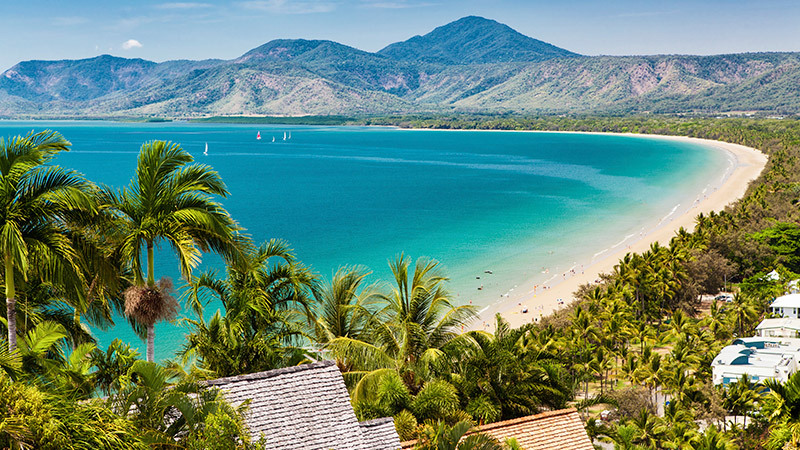 Mantra PortSea offers the perfect accommodation solution for a relaxing getaway or carefree family holiday in Port Douglas. 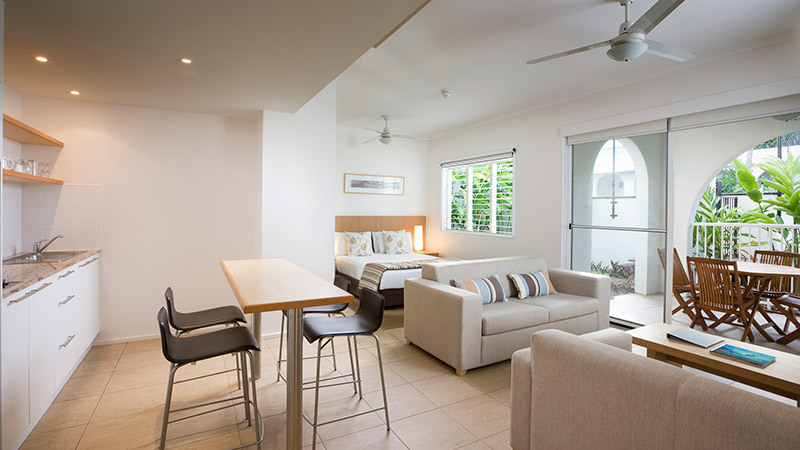 Nestled amongst lush tropical rainforests and on the doorstep of the magnificent Great Barrier Reef, Mantra PortSea Port Douglas offers comfort and convenience with a selection of hotel rooms, one & two bedroom studios and two bedroom apartments. Located just 100m from the beach and within a 15 minute walk of Port Douglas' village centre, Mantra PortSea features a lagoon style pool with swim-up bar and waterslide, all surrounded by beautiful tropical gardens. Mantra PortSea resort is the perfect choice for singles, couples and families looking for a relaxed North Queensland holiday. 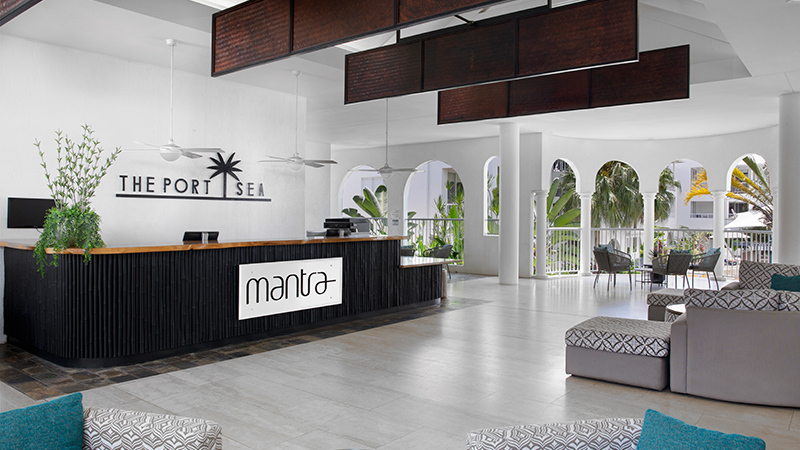 Whatever you do, Port Douglas is full of excitement and adventure and we invite you to experience it with Mantra PortSea. Complimentary car parking (subject to availability 1 vehicle per room).